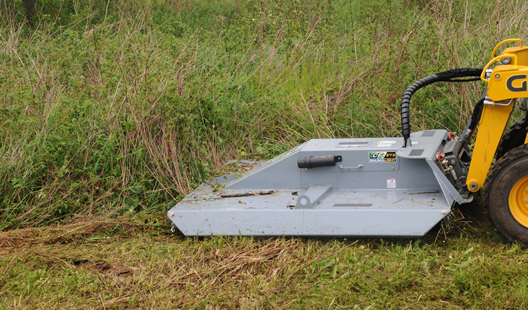 The rugged frame of the CF372 heavy-duty rotary brush mower houses two AR400 blades featuring an 82" path width. 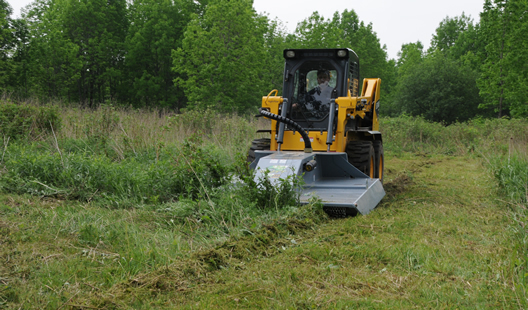 The 1/4” steel deck is designed to stand up and perform in rough terrain while cutting small trees, brush, unwanted weeds and grass. 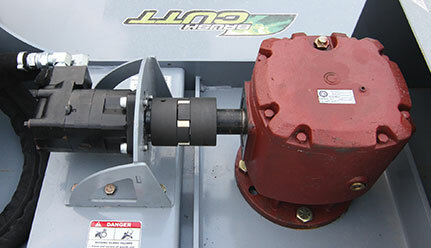 The 72" mouth of this unit is protected by a heavy-duty chain that controls flying debris, but still allows brush to easily enter. 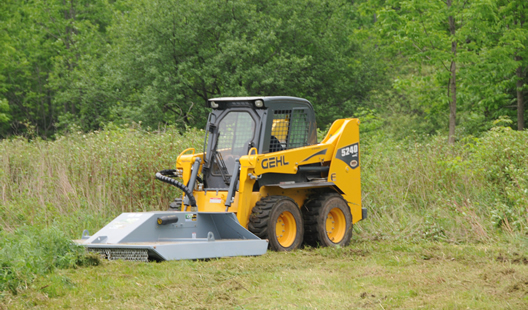 The rear of the unit is also guarded by a chain curtain so standing brush enters and mulched debris exits as you break new trails, clear ditches, construction, property sites, and other overgrown areas. 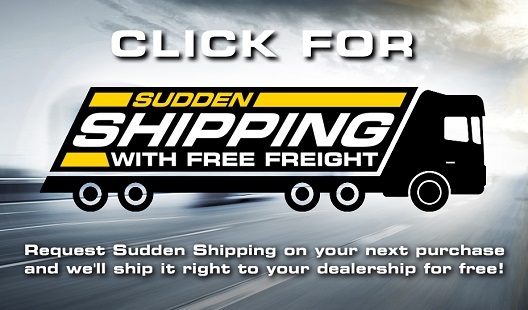 Chain curtains are standard front and rear, on the 300 series. 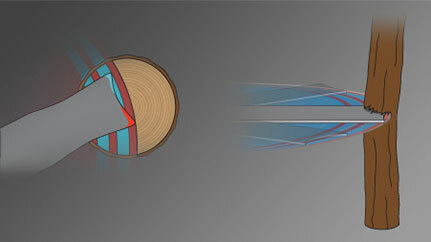 As the rotating rotor mass throws the slasher blades at small diameter trees, the blade slices small sections away as the Brush Cutt advances forward. 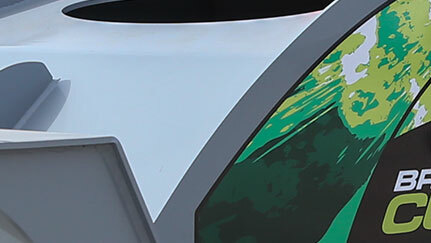 The curved cutting tips of the slasher blades give the Brush Cutt two cuts per pass of each blade. The leading tip takes a small bite and is immediately followed by the second tip taking another bite at 26–52 slashes per second with devastating results. Available in either 2 or 4 blade configurations the Brush Cutt’s reversible/replaceable blades are made of long lasting 1/4" AR 400 steel. Standard on all Brush Cutt models is a relief valve. 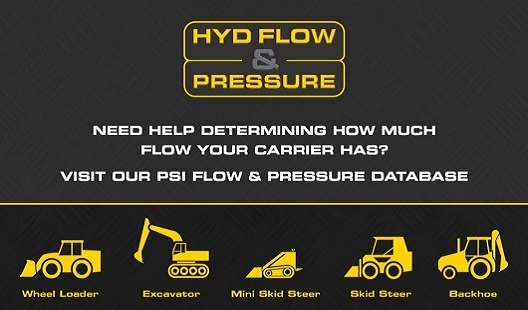 Set at 3,000 psi, this valve disengages the driveline if the hydraulic system pressure is too great, thereby protecting both the skidsteer and the Brush Cutt. 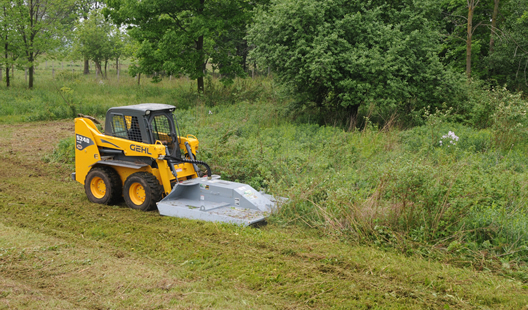 The Brush Cutt uses a bevel gearbox capable of handling up to 90HP for final drive output. More durable than conventional direct drive setups, these gearboxes prevent shocks from cutting being passed to the drive motor. 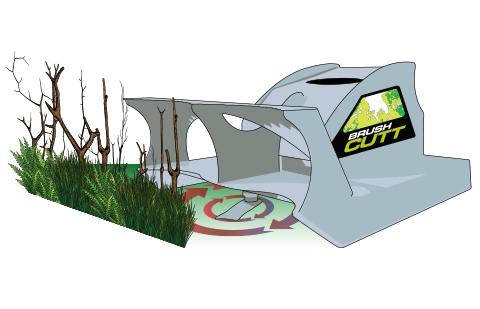 Standard on all Brush Cutt models is Hose Armour. 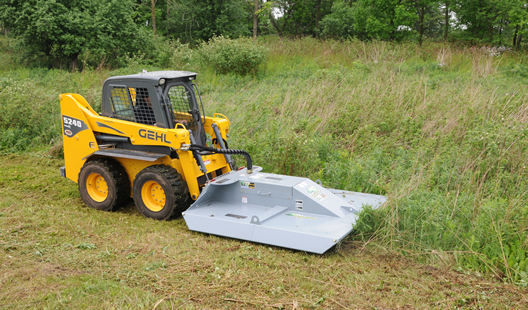 This is a tough wrap which coils around the hoses and protects them from the harsh environment of brush cutting. 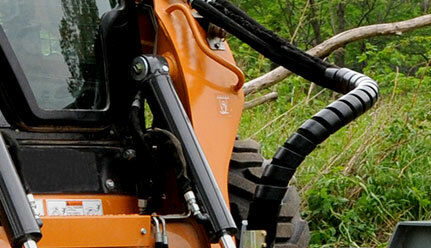 The armour helps to prevent any punctures from fallen brush or trees. 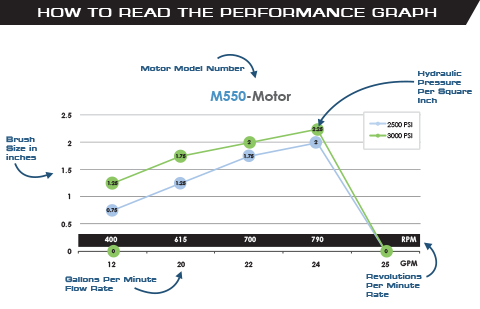 Crafted from 1/4" AR 400 steel, the unique profile of the slasher blades provides increased cutting surface. 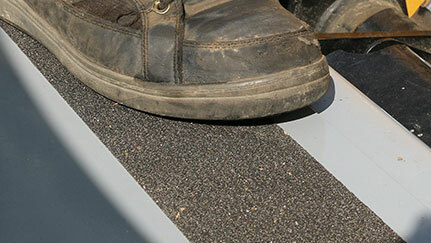 The blade&srquo;s thin reversible profile continuously provides a sharp edge. 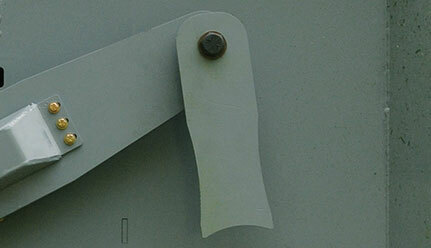 To secure slasher blades to the blade assembly, Baumalight uses Gr. 8 bolts capped off with castle nuts and cotter pins. 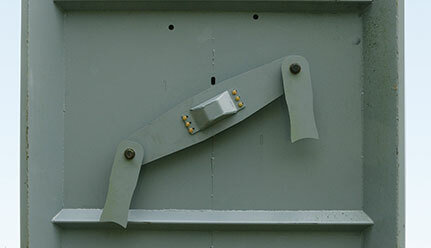 The blade mount uses a fully welded collar to drop the blade; this spacing helps to reduce the blade from binding while in operation. 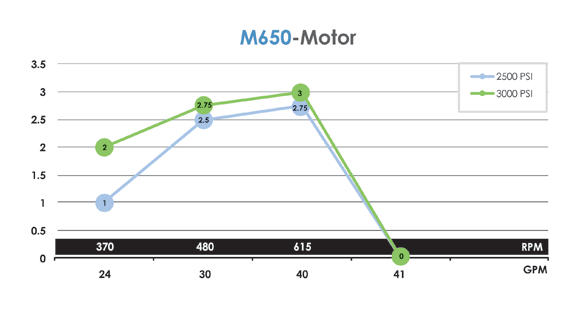 2-Way models feature a durable one piece rotor assembly. 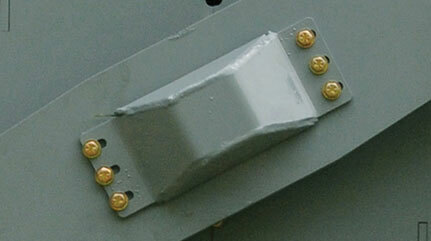 Constructed of a single 3/4" plate of steel and finished with a slasher blade on each end. The 2-way blade models provide up to 26 slashes per second. 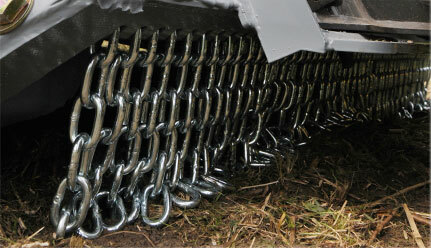 A heavy-duty chain curtain reduces discharge of debris. Unlike traditional chain curtains, Baumalight’s Brush Cutt uses a curtain rod setup that is free of welds. 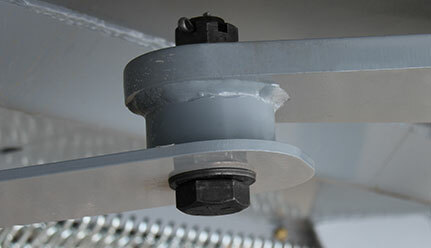 This setup allows the chain to absorb the impacts and places less strain on the welded link for longer curtain life. 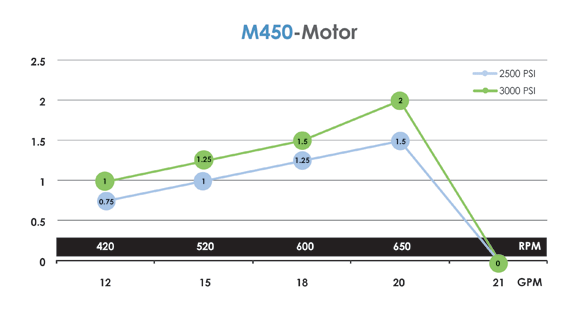 To protect the output shaft from impact or contamination caused by debris, each model of Brush Cutt is finished off with a heavy-duty output shaft shield.